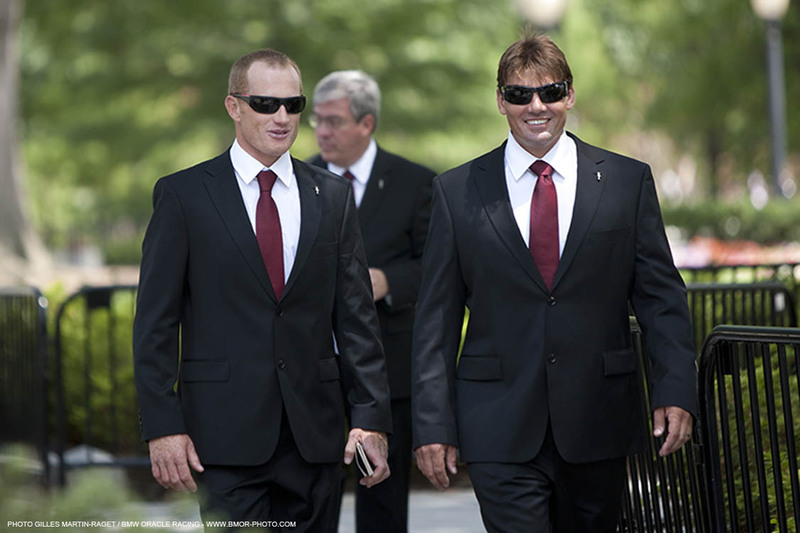 The team was welcomed into the East Room of the White House on Tuesday to meet with President Obama, who offered his congratulations on the America's Cup victory. The President spoke with team owner Larry Ellison, skipper Jimmy Spithill and CEO Russell Coutts about the Match and said while he isn't a sailor, he'd be interested in having a go on the trimaran! 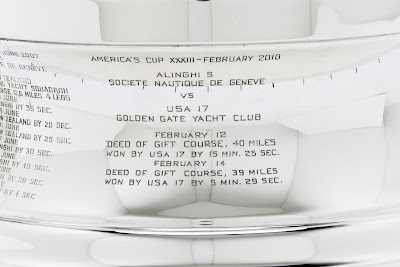 The President was also the first to see the America's Cup after the results of the 33rd Match had been engraved on the trophy. More on the White House visit is on the America's Cup website. It's been quite a morning in New York for the team as the team made an appearance on CBS on 'The Early Show' and then opened the NASDAQ exchange. 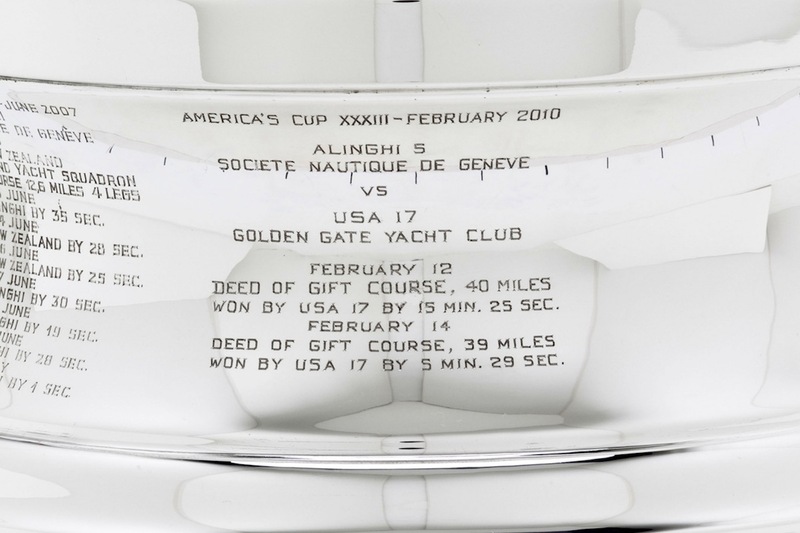 BMW ORACLE Racing has had the result of the historical 33rd America's Cup Match engraved on the America's Cup trophy by Biro and Sons Silversmiths. Trophy and team will be in New York on Wednesday and Newport, Rhode Island on Thursday. 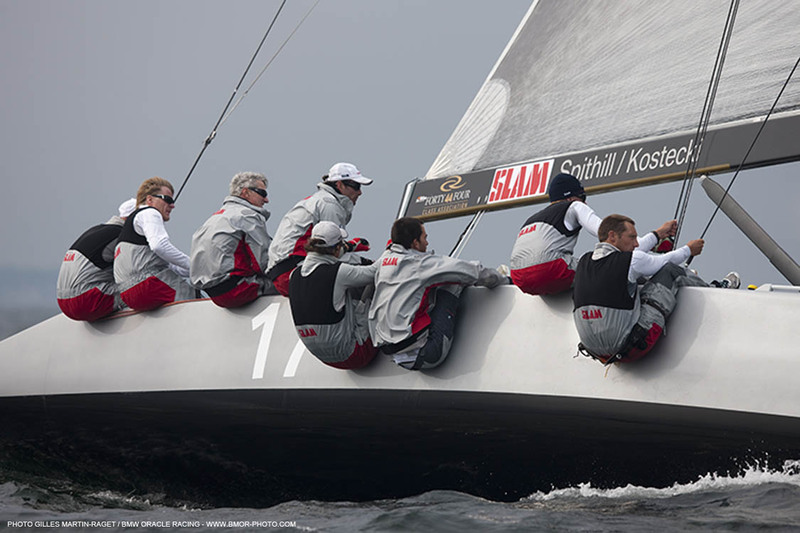 Skipper Jimmy Spithill and other team members are in NYC today. It's an early start, with the team opening the trading day on the NASDAQ stock exchange. But first, a visit to the CBS Early Show. 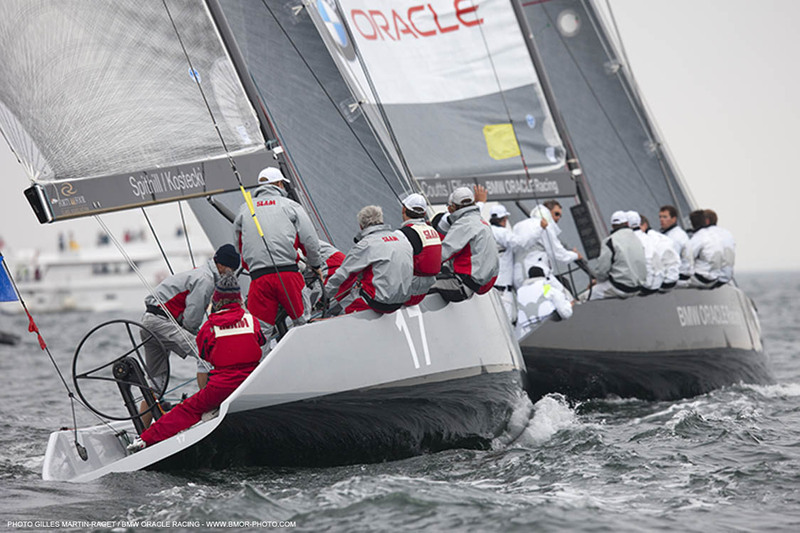 Check it out - the team is due up just before 0830 EDT. 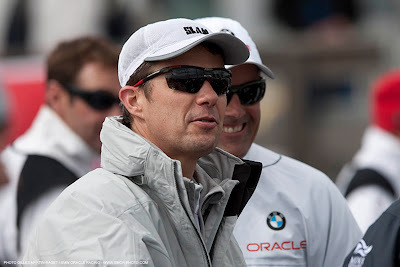 The BMW ORACLE Racing team, winners of the 33rd America’s Cup in February, will ring the NASDAQ Stock Market Opening Bell on Wednesday June 30th at the NASDAQ MarketSite in New York City’s Times Square. 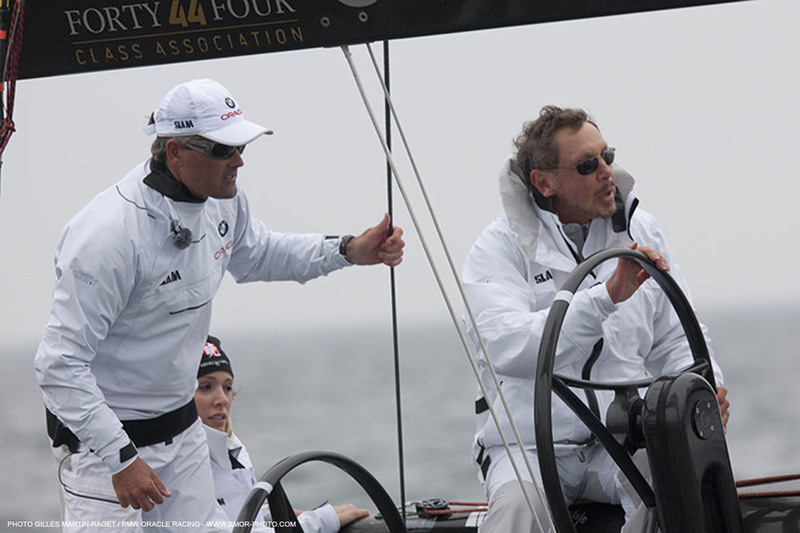 Skipper James Spithill (AUS) will lead the American team in ringing the bell to mark the opening of the trading day. The NASDAQ Opening Bell ceremony will be simultaneously displayed on the NASDAQ MarketSite tower, NASDAQ's iconic digital sign in the heart of Times Square and the NASDAQ MarketSite broadcast studio wall. 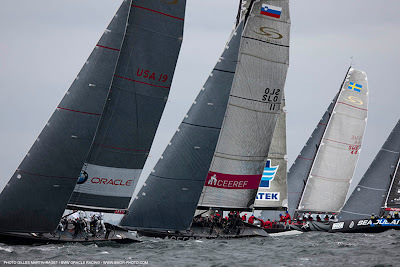 The America’s Cup represents one of the most demanding sporting and technological achievements in the world. 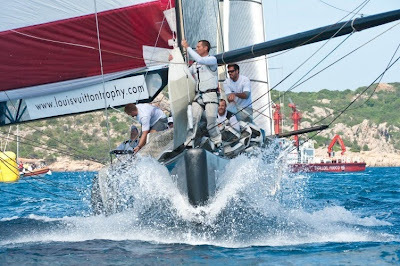 The oldest trophy in international sport, it has been contested 33 times, and held by just six yacht clubs over its 159-year history. The BMW ORACLE Racing team is an international line-up of the best sailing, design, engineering and boatbuilding talent in the world and was created 10 years ago by Larry Ellison (USA) with the goal of winning the America’s Cup and bringing it back to the United States. 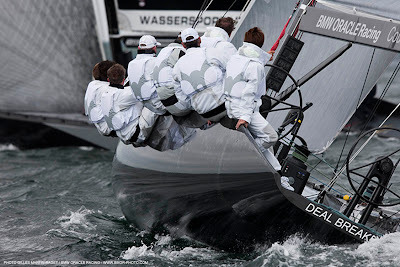 The team realized its ambition in February, beating the defender, Alinghi, 2-0 in a Match off the coast of Valencia, Spain. 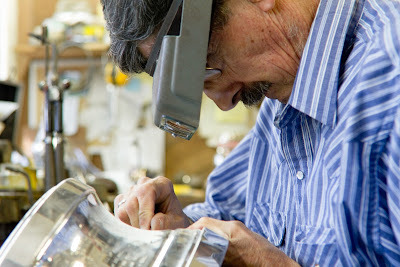 The visit to New York City is part of a tour of the east coast of the United States. 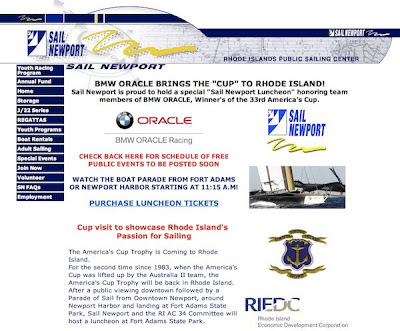 The team will visit Newport, Rhode Island (Thursday), the home of the America’s Cup for much of the 20th century. 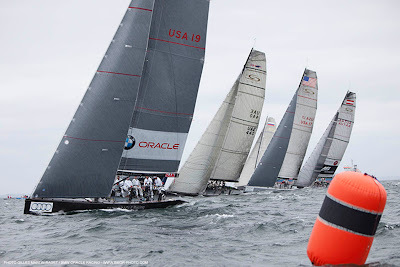 On Thursday, July 1st, the America's Cup will be in Newport, Rhode Island, on public display in central Newport at Bannister's Wharf in the morning and then at Fort Adams. A 'Cup Victory Tour Luncheon' is planned at Fort Adams, including a multimedia presentation by the team - proceeds to benefit Sail Newport, Rhode Island’s non-profit, public sailing center. This great video comes via Tom Ehman, who was in Copenhagen over the weekend. He received the link from Johan Granath (www.persept.se), who happened to shoot BMW ORACLE Racing screaming downwind on Saturday, when racing was cancelled because of too much breeze. 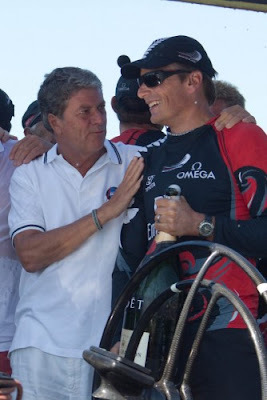 Team owner Larry Ellison converted a steady day in the top half of the fleet into an overall win at the RC44 Copenhagen Cup on Sunday. Skippering BMW ORACLE Racing to three top-four finishes on the day Ellison won the fleet racing by a three point margin over Pieter Heerema's 'No Way Back'. 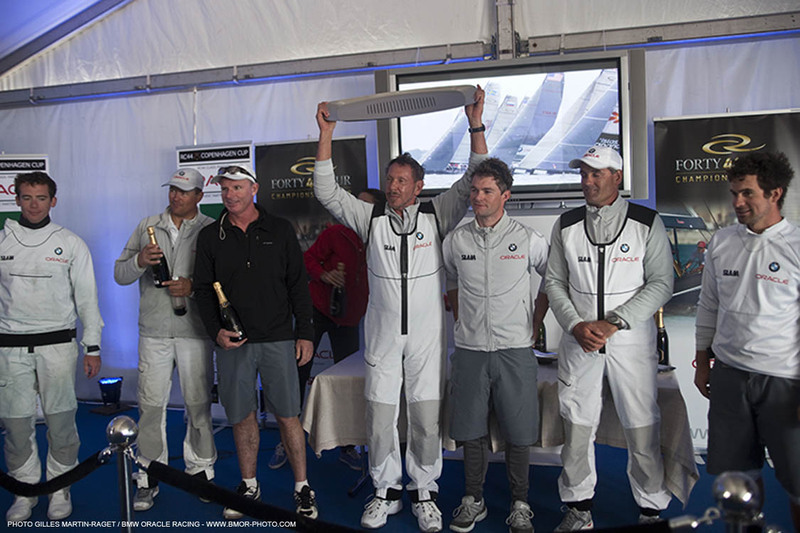 The fleet race win, combined with a second place finish in the match racing series, was too powerful a combination for the competition and BMW ORACLE Racing has now won two consecutive RC44 Championship Tour events. 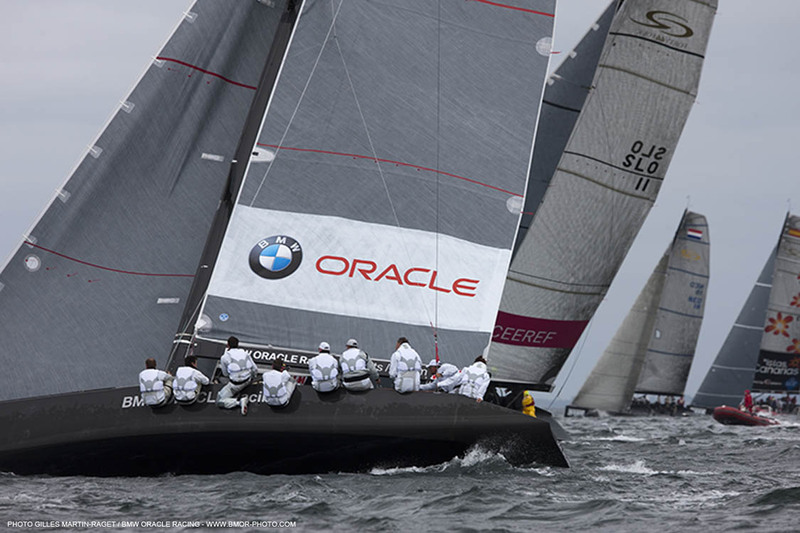 It was a good day all around, with '17', another boat in the fleet loaded with BMW ORACLE Racing talent won two of the three races to finish in fifth place for the fleet racing and overall. Racing was cancelled today in Denmark at the RC44 Copenhagen Cup with winds reaching up to 35 knots. 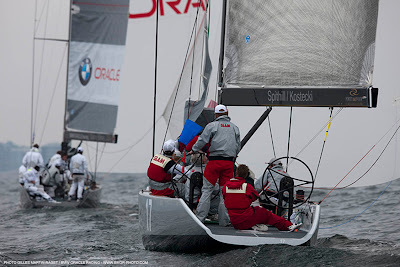 The teams left the dock and the more adventurous raised their spinnakers en route to the start area, but to no avail. 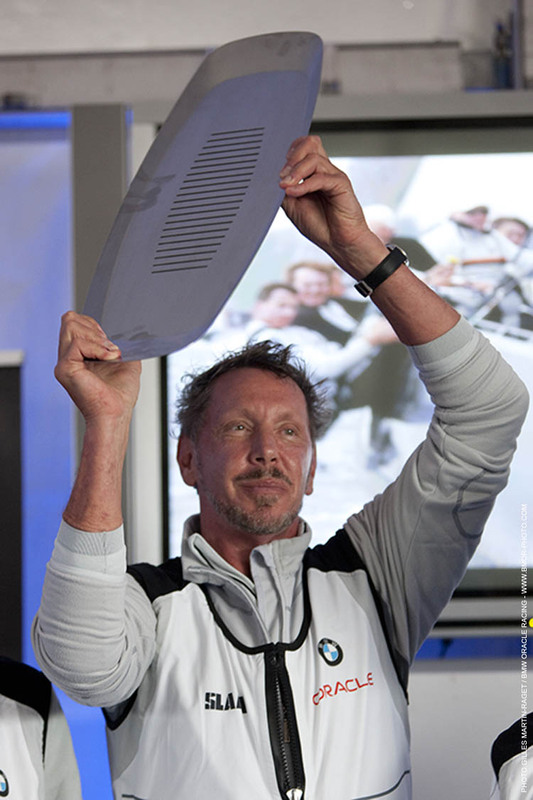 Still, it made for some good images from Gilles Martin-Raget. The RC44 Copenhagen Cup has moved into the fleet race portion of the regatta. 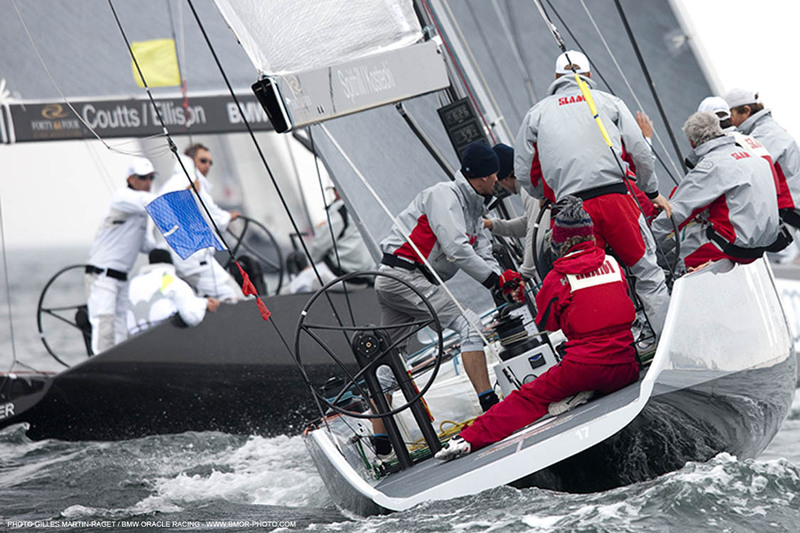 Results are at the event website here. And below is how it looked through the lens for GMR. Another good day on the water for the Ellison/Coutts combo on BMW ORACLE Racing who opened the day with a victory over James Spithill and co. on team '17'. The win for Ellison brings his record up to 2-0 over Spithill this year. 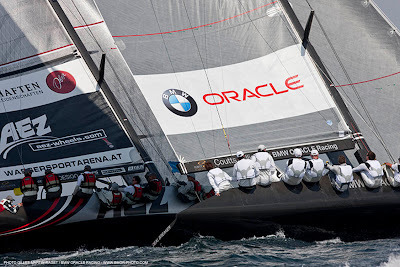 More importantly, it contributed a valuable point to BMW ORACLE Racing's Round Robin record, at 6 and 3 for six points, it was good enough for second place in the match racing regatta. 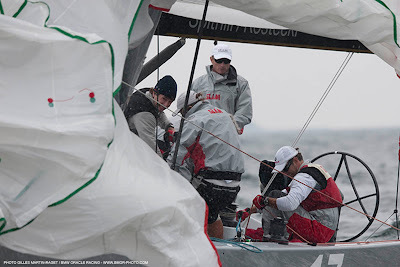 Spithill's team '17' finished the match racing at 5 and 4, just one point back, but in fifth place. 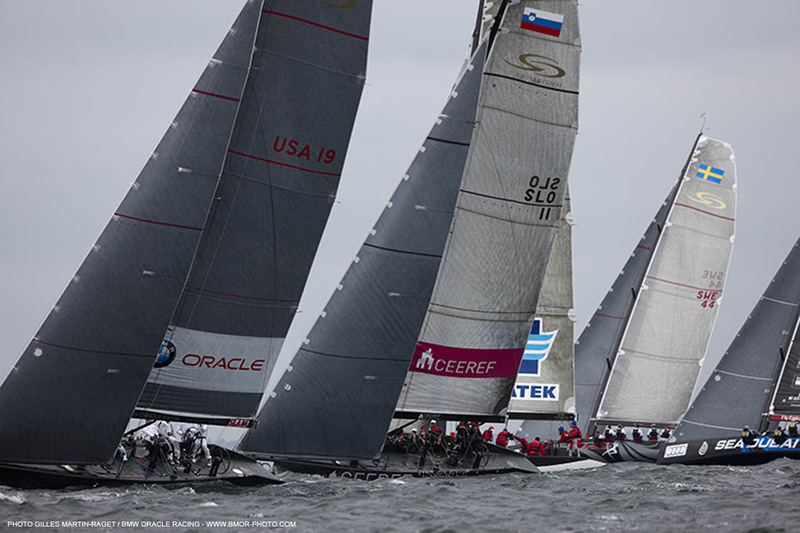 See the official regatta report here. 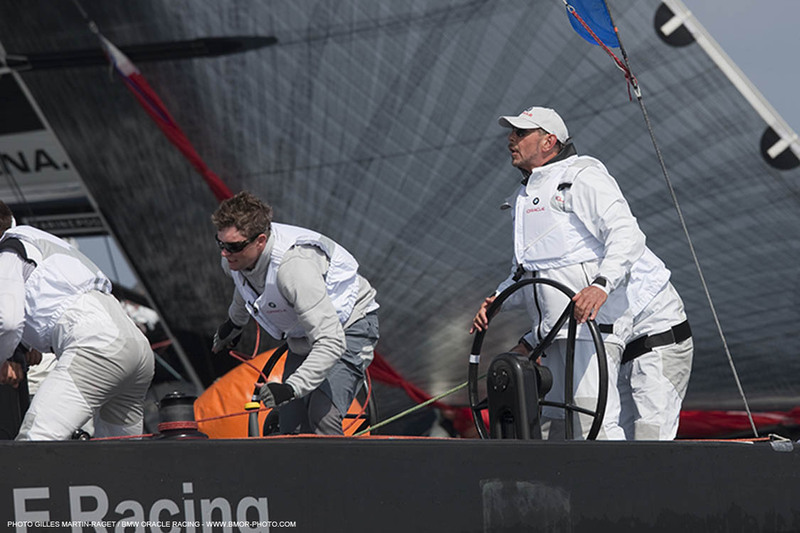 After the relatively sedate pace of racing at the Louis Vuitton Trophy in Sardinia, the RC44 Copenhagen Cup took off like a rocket on day one, with many of the same names and faces enjoying the great, if cooler, racing conditions. 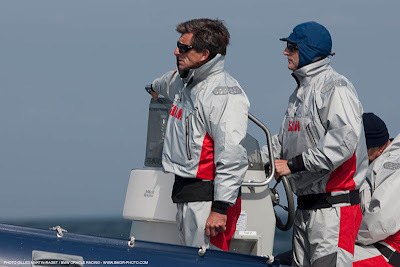 PRO Peter Reggio - yes, the one and the same - was able to complete 28 matches today, over half of the round robin for the ten boat fleet. 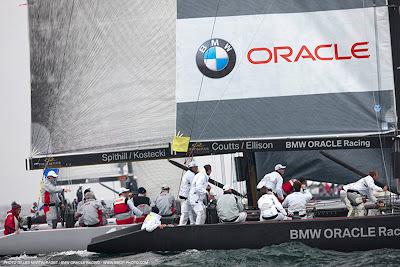 BMW ORACLE Racing, with Larry Ellison as skipper, and team '17' skippered by James Spithill, are both sitting on identical 3 and 3 records following completion of the day's racing. 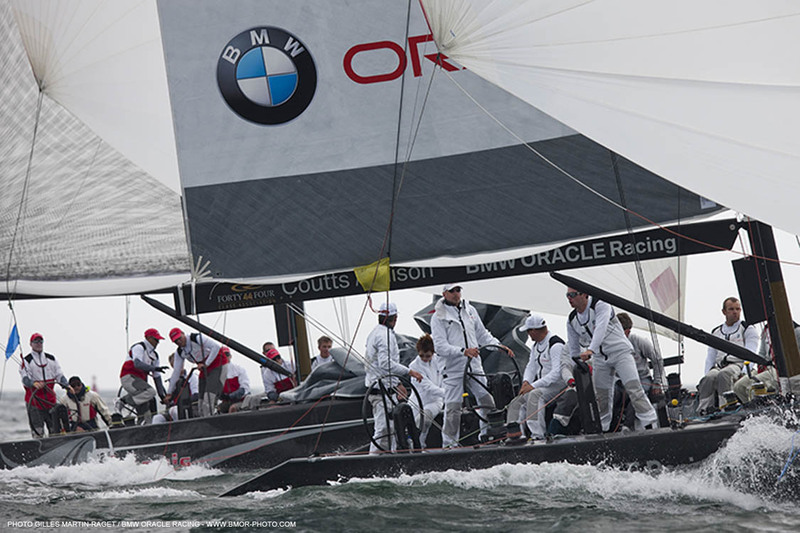 "We had a couple of good and not so good races today," said Russell Coutts, who is tactician for Ellison on the BMW ORACLE Racing boat. "Tomorrow is another day." 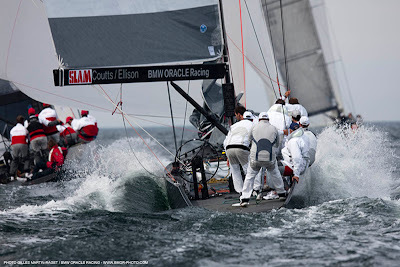 And a big day at that with BMW ORACLE Racing scheduled to face team '17' - Ellison versus Spithill. Stay tuned for tomorrow's report on that one.. 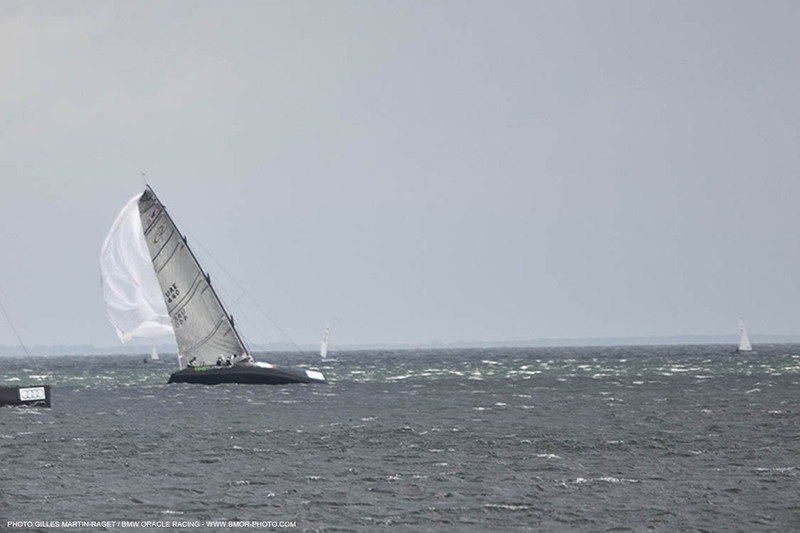 In the meantime, Gilles Martin-Raget was braving the cool conditions on the Øresund today to get these images. 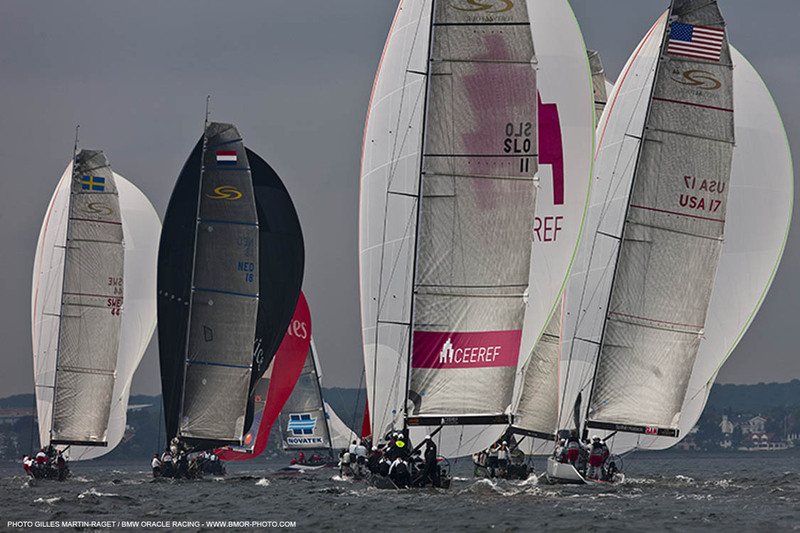 The RC44 Copenhagen Cup begins today in Denmark. 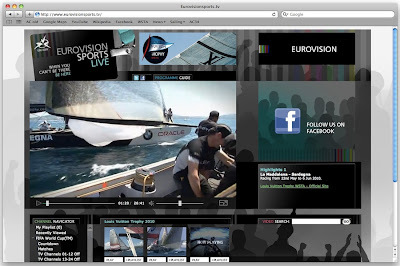 You can follow live updates on the event website here. 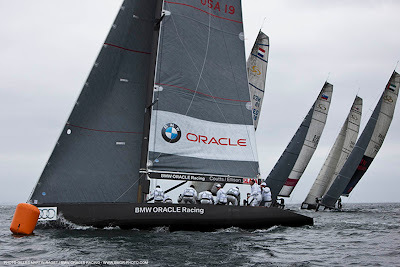 And read more about the teams BMW ORACLE Racing has participating here. 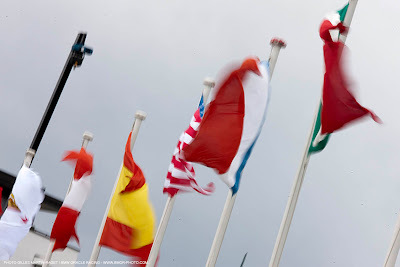 We'll have reports from Copenhagen over the coming days. 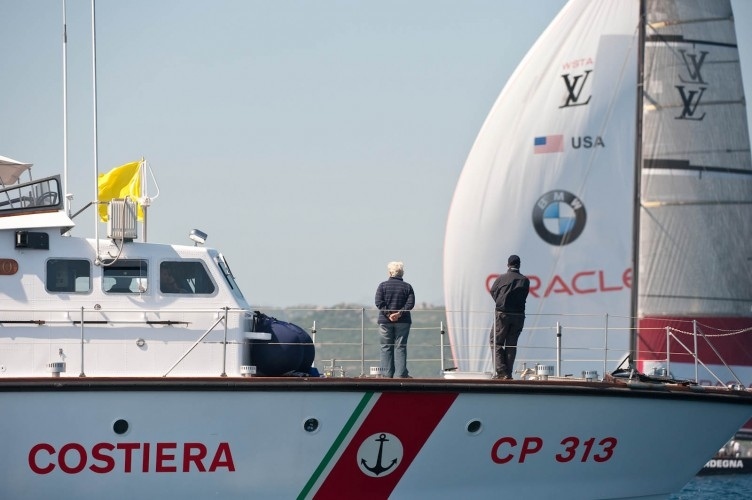 The America's Cup was on display in La Maddalena at the Louis Vuitton Trophy race village all weekend, courtesy of the BMW ORACLE Racing team and GGYC. 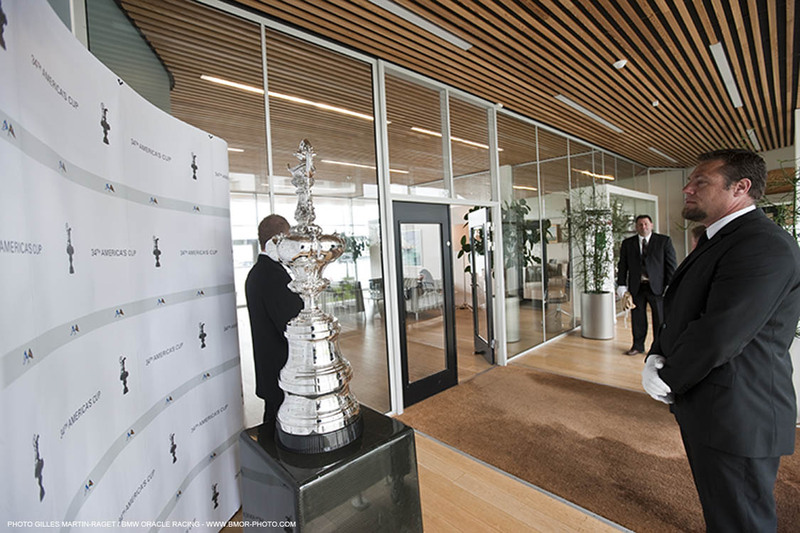 It was a popular draw for the weekend crowds, who were keen to get a glimpse of the Auld Mug. The Louis Vuitton Trophy La Maddalena finished today with a fantastic five race final between Emirates Team New Zealand. The Kiwis won the event by winning the final three races to overcome a 2-0 deficit. There will be seven highlight shows in total. The first three are already online... Just go to the site and search for Louis Vuitton Trophy. 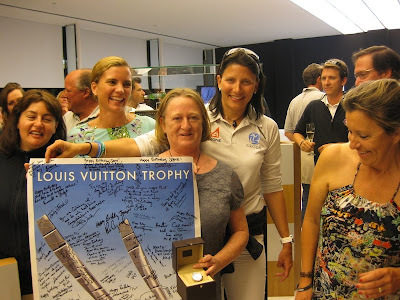 A great night on Thursday evening for Jane Eagleson who has handled PR and media for the team for the past seven years, culminating with the Cup win in February. 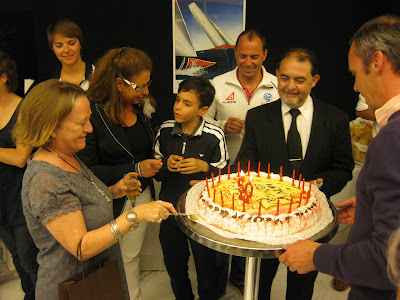 Jane celebrated a milestone birthday on Thursday in La Maddalena, surrounded by friends and colleagues gathered over a long career in sailing and the America's Cup. 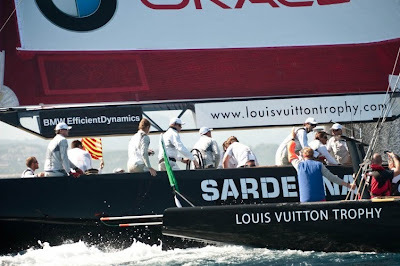 BMW ORACLE Racing has all but been eliminated from the Louis Vuitton Trophy La Maddalena. A win by Azzurra over TeamOrigin means BOR is almost certain to finish in ninth place equal on points with eighth place Luna Rossa, but losing the tie-break. Here are some shots from event photographer Paul Todd from today's comprehensive win over Mascalzone Latino. 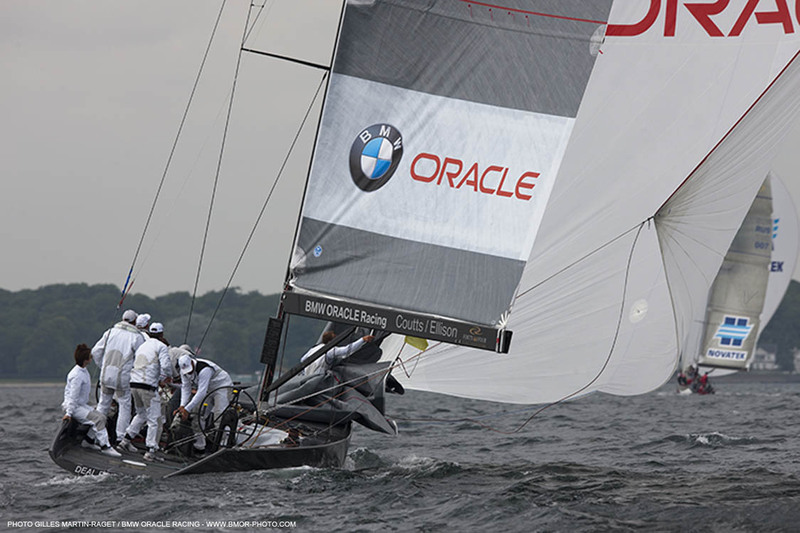 BMW ORACLE Racing has done its part today with two wins from two starts to complete the Round Robin at 3-6. In the first match, skipper James Spithill and tactician John Kostecki dominated the prestart against Mascalzone Latino, getting two penalties on helmsman Gavin Brady before the start gun had even fired. In the second match with Azzurra, there were no penalties, but another strong pre-start saw BMW ORACLE Racing cross the starting line with a nice lead they would hold all the way around the track. 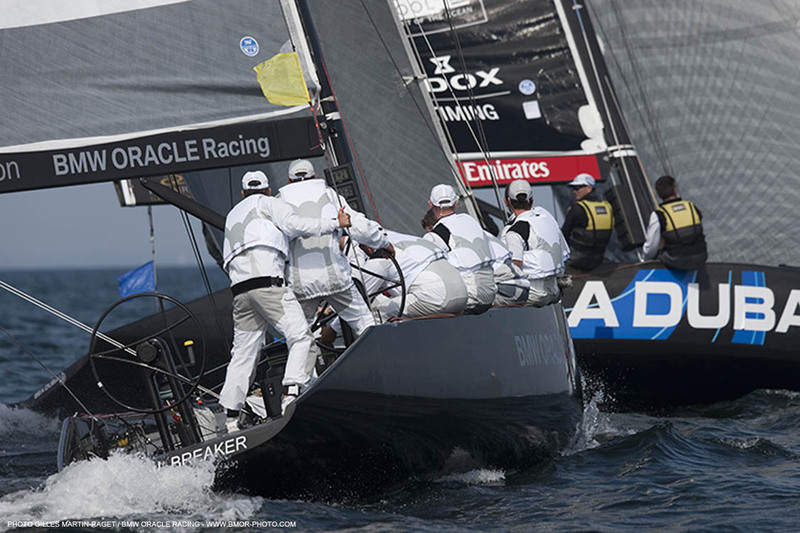 Here's what skipper Jimmy Spithill had to say following today's race. 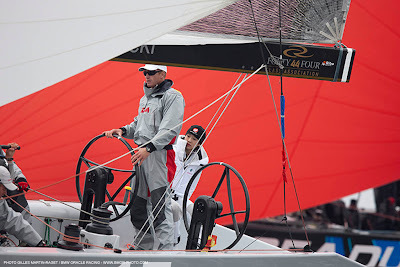 He went on to say the sailing team would move from here, back to the RC 44 circuit before returning to ACC competition against TeamOrigin in Cowes at the beginning of August and then back at the Louis Vuitton Trophy in November. 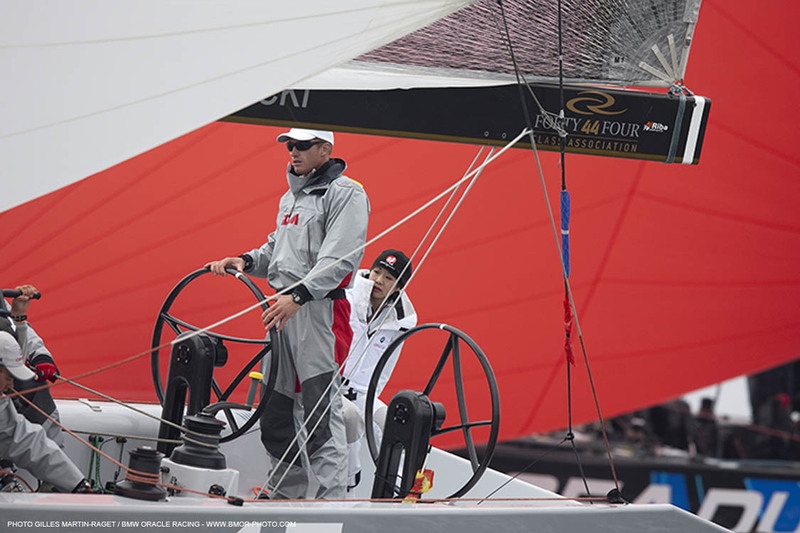 And, like many of the sailors here, Jimmy said he thinks there's room for improvement in the format of the LVT events, which see a lot of down time for the crews with only two of 10 teams racing at once. 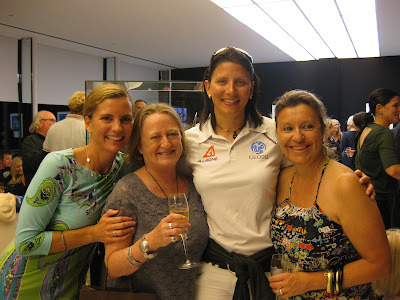 "It's been interesting to see how the event has been run. 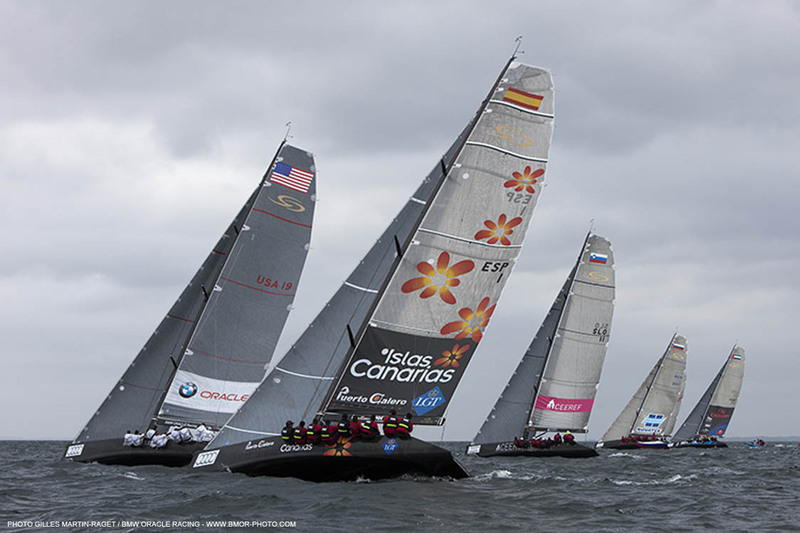 I think there need to be some changes, some improvements, but it's exciting to think about what we could make of these events." PRO Peter Reggio has roared through the schedule today. The match against Azzurra is up next and due to start earlier than anticipated with a warning signal at 1340 local (GMT+2). 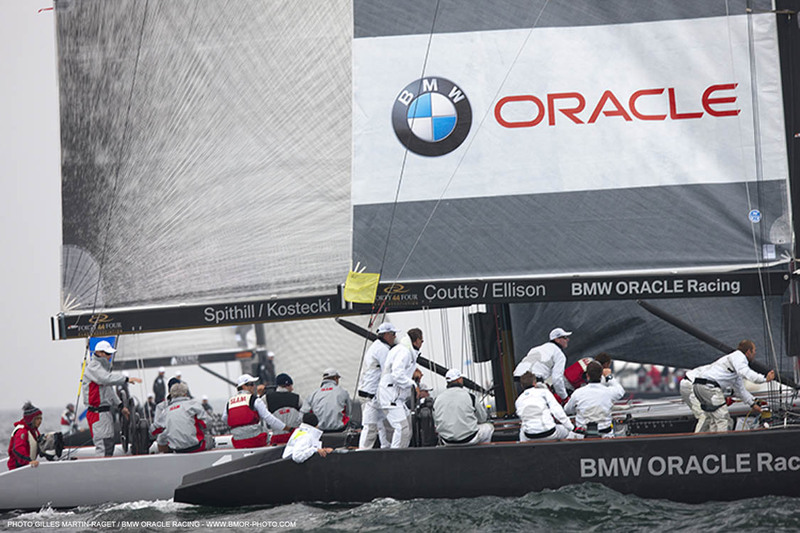 The BMW ORACLE Racing team is holding up its end of the bargain so far today, which means winning races. An outstanding pre-start by James and the guys saw them throw two penalties on Gavin Brady and his Mascalzone Latino team before the start gun had even fired. 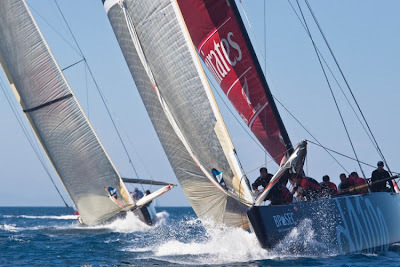 This translated into a nearly a 200-metre lead which they carried for the entire race. 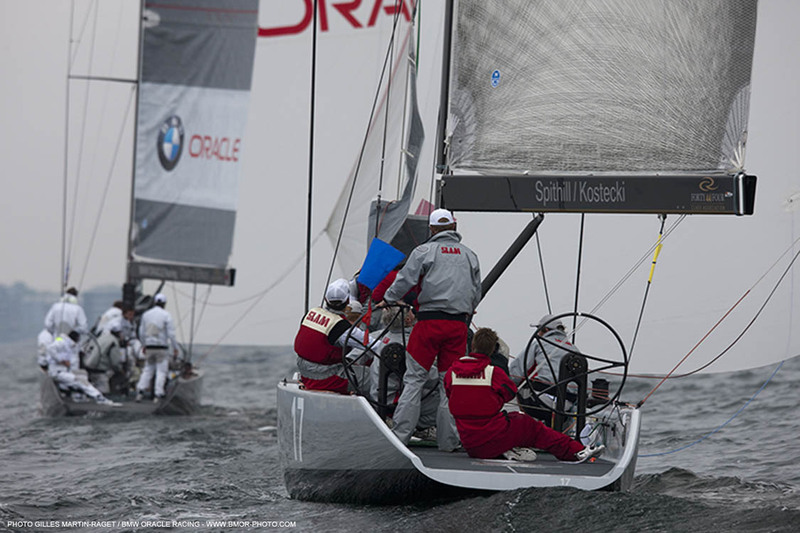 The team moves to 2-6 with the win and has one race remaining in the round robin, against Azzurra, in the fourth match of the day. That one should go around 1500 this afternoon, but check www.louisvuittontrophy.com to see how the racing is progressing today. 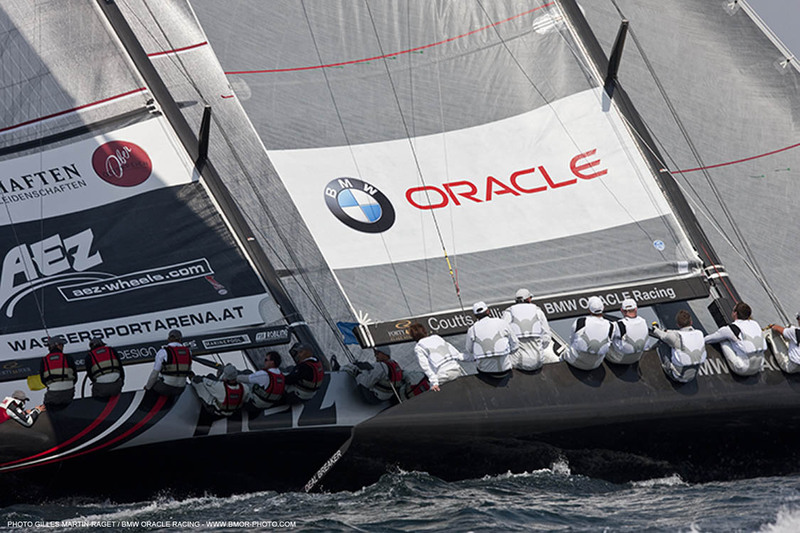 It's a day to win races here in La Maddalena for the BMW ORACLE Racing team. 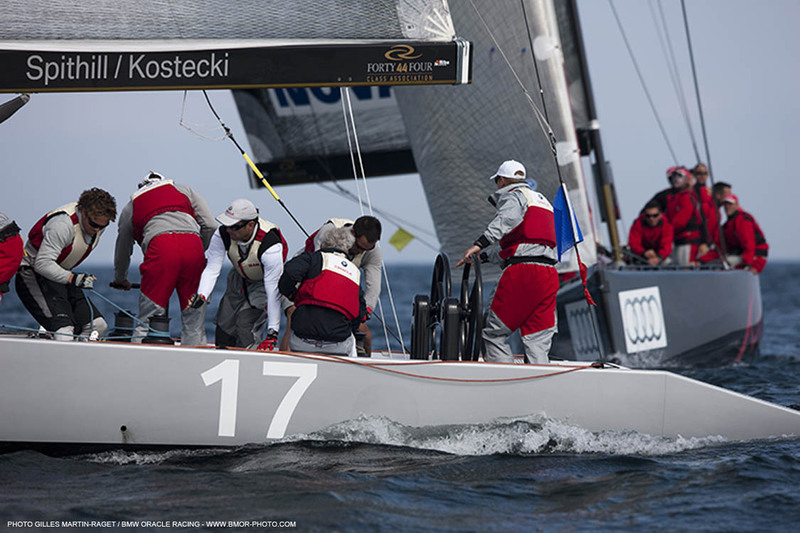 With just two races remaining in its round robin and only one point on the board, the team must win both scheduled races in order to advance. 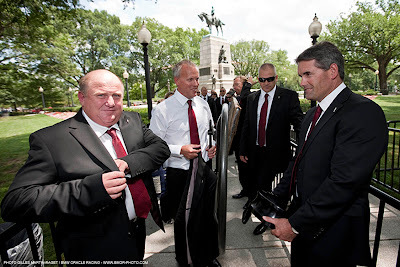 But even at that, the guys will need some help. The two teams it is possible to catch are Luna Rossa and Azzurra. In the case of Luna Rossa, BOR would need to finish one point clear ahead, having lost their head to head race, so they need Aleph to beat LR today. In the case of Azzurra, BOR races them today and must win, but will also need TeamOrigin to beat the Italian team in order to have a shot. 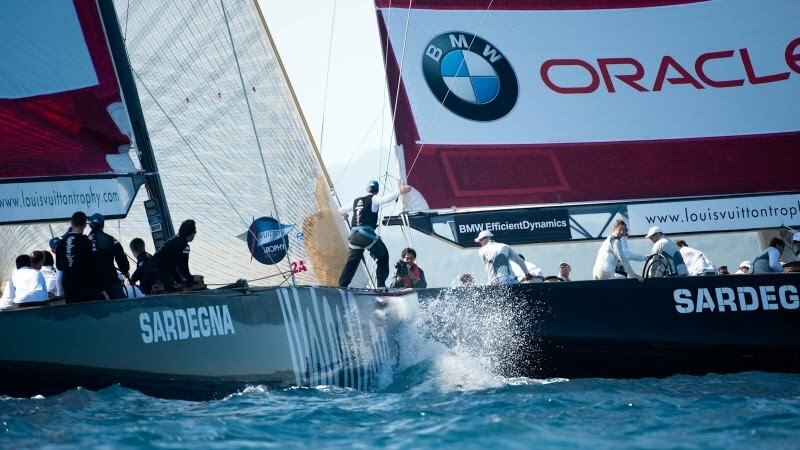 BMW ORACLE Racing opens the day with a match against Mascalzone Latino, and then meets Azzurra in the fourth match on the schedule. Racing is scheduled to start with a warning signal at 0900 on Tuesday. 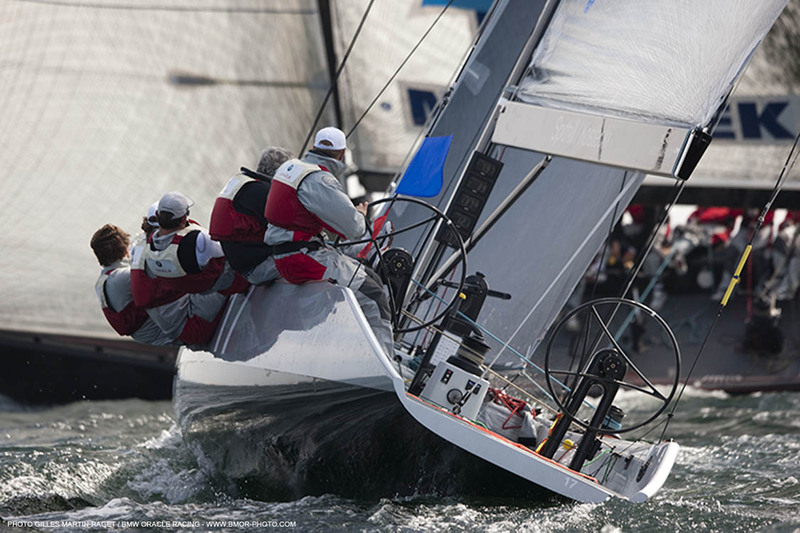 Follow the event website for scheduling updates.